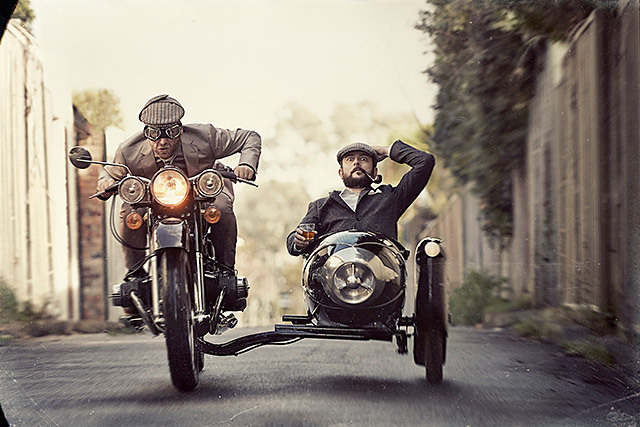 Pipeburn is owned and run by two biking Sydneysiders, Scott Hopkin and Andrew Jones. The site was set up in January of 2009 by Scott, a keen rider and advertising art director. After buying a Yamaha SR400 he got bitten by the bike bug and decided to start a blog and post any custom bike material that he thought was worthy of sharing. After about a year, the mammoth task of posting something interesting on a daily basis hit home. So Scott shot off an email to a guy called Andrew who was a regular commenter on the site, asking him if he’d like to contribute something. They got talking and soon realised that were not only living in the same city, but they were both in the ad game and both spent way too much time looking at custom bikes on the web. Nine years, 1500 bikes and 400,000 Facebook followers later, Pipeburn.com has become one of the world’s most popular custom bike sites. We have a large, active collection of readers spread right across the globe and we post a whole bunch of the latest motorcycles every week of the year. Whether it’s café racers, bobbers, trackers, brats or classics – if it’s new and different we will show it. And we don’t just talk the talk, either. Scott currently rides a murdered-out Triumph Bonneville on the street, a Trackmaster flat tracker and a vintage YZ250 on the dirt. Andrew currently rides a BM R nine T.